As far as I am concerned, the abolition of JCE and the general review of fees for public educational institutions is the only bold and strategic decision that Mutharika and the DPP government have ever made since May 2014. And I say, Congratulations!! The benefits of abolishing JCE by far outweigh the cost of maintaining it. Those that are unhappy with the abolition have very good reasons and arguments, but what they are missing is that, what we benefit, even in terms of value, from JCE as a nation must substantially surpass the cost that our poor government annually invests in the Examinations. And it is also highly imperative to consider the actual tradeoffs of spending hundreds of millions of tax on JCE, when we cannot afford decent salaries of the teachers, medicine, medical and educational facilities, etc, whose value outweighs JCE. Our economy is going through a delicate situation which needs serious fiscal thinking. I would like also to commend government for reviewing and raising tuition and boarding fees for public educational institutions and eliminating sponsorship for tertiary institutions. This is a very brilliant fiscally sound and convenient decision. It does not make sense for one of the poorest countries on earth, to be spending huge subsidies for public services. In as much as public services must be subsidized, this must be done with utmost caution and prudent calculations to avoiding injuring the economy as has always been the case. Infact, government must seriously consider introducing some fees for public hospitals and clinics too. These are bold decisions that must be despite consequent political controversy which is inevitable when such decisions are made. otherwise, how does a poor country finance huge subsidies? It does not make any economic sense, unless we are thinking politics. However, government must also ensure that corruption and unnecessary spending are not tolerated at all levels and departments of government. Otherwise, the resources that will be saved through the new fiscal initiatives , will only end up in the pockets of selfish government employees and the elite of the ruling party. So, come on Mutharika and DPP, fear and refrain from corruption and the systematic stealing of government resources through meaningless spending like taking more than 100 people for a UN General Assembly. *Views in this article are those of the author and not Malawi24. me did not write std 5 primary school certificate.I was worried the way pple are talking. I studied hard so that I must have std 8 certificate and I got it!!!! Now no std 8 and JC that is very Good move I support the motion. We need MSCE and Dedrees bas. Gad MSCE akulembedwa ganyu angalembe ntchito ndi std 8 or JC ndani???? Osataya nthawi money ndi zopanda pake. Economy imeneyo. to you Lyson Sibande or whatever you call yourself I think something is wrong in your head.anyway just wait when the mosquito bite your testicles you will stop bulking. consultation is needed before making a decision.DPP must take take care people are watching. If is difficult to rulling this country give chance to others.and u opposition leaders why u stand and wash stupid views.enconomic freedom fighter EFF lets join together and move malawi forwad for bright fulture.ENAFE TILI NDI ANA AMASIYE PAMODZI NDI ANA ATHU NDI OCHULUKA.NJALA NDI IMENEYI PALIBE muchitapo za chilala cha njala zinthu zingkwela siku ndi…..
U evil spirit in the cabinet of Malawi come out! education getting worse and worse. Sorry, this is a bad solution. Fees To All Primary Schools.I Agree That,leaners,parents & Other Teachers Wea Lazy.This Will Now Make Them Serious.Now That U’ve Introduced That,try 2 Recruit All Graduated Teachers.Yes To Fees. I wonder:JC Is intermationally recognised than Msce,why aborting it? And wat r cons and pros of Jc? dats wat happez n malawi wen we r changing 4m one system to another and expect alot of views. Anyway to m its a gud development unless the money w r going to save 4m this change wl be ultilised wisely. Admin mukudwara eti?mutu wanu wasiya kugwira ntchito bwino.Izi ndiye zoti nkumasekerera pamene izi zachitika kamba kakusowa ndalama mbomamu kuli kuwononga zinthu kuti maphunziro alowe pansi. It defeat my understanding, how can a person in the right mind applaud such decisions when learners learn like that ???? The picture above raises more questions than answer as to why we should pays school fees for our children. No conducive learning environment for our children, no desk, no classrooms , jst an open space , poor concentration of our children due to overcrowding which obviously result into poor performance.Education is the basic human right of children which of course should accessed by any child. Before you make such decision think 1st about those in rurals areas cs they always feel the heat whenever civil servant get increments but these are the very same people you look up to during elections, they give you a job , now u want them to pay for their kids as a reward. We no longer grow cash crops where do u expect us to get money for school, if we make charcoal as an alternative u blame us what next then? Please intensify public work nation wide so that altleast we get something every month end, is that too much to ask? Even in football,players play hard just becoz they’re fighting for a trophy,how can children work hard, knowing that the only competative exam they will write will come in Form 4,that is in 12 years time from std 1??? ?Mxiiiii,bunch of idiots. The decission is only to panic the plebians who already are under panic to find daily needs.80% of malawians are living a very miserable life that can not afford to get schools fees & uniform. Because your own children are studying abroad and in Overseas?? Did they consult the other arms ? Did they highlight on side-challenges this might bring especially to how teachers and learners currently prepared themselves? After Bingu changed the primary syllabus to PCAR, didn’t you take note that most learners in Std’s 1,2&3 find it difficult especially in reading, writing, construction of sentences, articles and syllables, why because the books hav got linient info and still prompts teacher to still reffer to the old syllabus Textbooks .. So if you hav abolished JCE n PSLCE then why hiking with such higher percentages? Nde tell us kut how are u goin to be Assessing the learners’performance akafika STD 8 n Form 2! Lets wait tione ngati aphunzitsi mutakwezere malipiro ndikuwamangira nyumba zolongosoka. Awo akuti congratulations ndi achisiru …ts all because amadya nawo ndalama za dziko zobedwazo!!!! !…awa akufunika asiye pansi udindowu ….my fellow Malawians lets join hands by not applauding such nonsense!!!!!! Fees Basi,abwana Am Not In Suport Of Any Individual/party,i ONLY Suport Nkhani Ya Ku Pulayimale Pa Nkhani Ya Fees.Zilibwino Coz Ana Asukulu,makoro Ndinso Ena Mwa Aphunzitsi Sanali Serious Ndipo Sizinkawakhuza .Abambo, Ndazionapo Pepani. Nthawi ya Muluzi anthu amalemba wayeso atawona kale amene aja kulembaso akhoza kulephela. Zomanga manga anayetsetsa.Kayendetsedwe ka chuma anali mbola ndalama kugwa week ndi week.Pamene anayamba kulamulira USA dollah inali k3.30 pamene amasiya ina k150. How constitutional is the introduction of fees in primary schools? 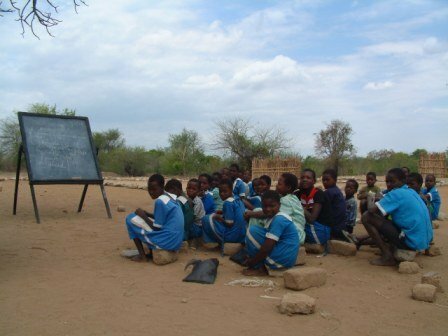 Section 13(f) of the Malawi Constitution provides for compulsory and free primary education. So where does gvt derive the mandate to introduce fees in primary sch? Section 5 of Constitution is to the effect that any act of gvt or any law inconsistent with constitution is invalid. This means the act of introducing fees in primary xuls is contrary to section 13(f) of the constitution and therefore invalid by virtue os section 5. It also follows that children will not be bound to pay the fees unless the said constitutional provision is ammended in accordance with the law. The concerned people can also challenge the decision in court and can be declared invalid. A president mumadziwa malamulo simukufuna kuwasata bwanji together with ur cabinet? Mukutiphinja ife a Malawi osauka. Sindikuwonapo chaseru apa,feez in primary,does t make any scence?gyz we can agree 2do that 4 there stupt reasons,bt lets think 4 other families ispeciary in villages,they fail 2 complite even primary level coz of little things like luck of exercix book,soap,uniform and etc,so ontop of those things you want 2add another,frakly spkn “boma likuletsa ana osauka kuphuzira”mukatero ndkuvan. kodi za kukweza fees u mean tisiya kupereka msonkho, u mean sopo atsika, bread afika pabwanji? It’s Alright With The Re-Introduction Of Primary School Fees But Sad With The Abolishon Of JCE.Somebody Doesn’t Even Speak Good English At MSCE And The Worst Thing Of All Can’t Even Get A Job With Their Paper To Simply Mean It Lost It’s Value Someway Back.And Now You Think You Can Make It The Only Living Paper For All The 12 Restless Years Somebody Suffer Education Hushness.What A Shame! !Kodi Zinazi Mumapanga Chifukwa Ana Anu Amapita Ku Ma Internationala High Schools Eti?And You Think You’re Ruining Ana A Anthu Opanda Maina Kuti Ana Anuwo Adzakhalebe Akumapondereza Ana Athu M’mene Mumatiponderezera Inu Muja Eti?Nafensotu Tiri Ndi Nzeru Ngakhale Sitinapatsidwe Mwayi Omanena Nkhawa Zathu Nkumamvetseredwa.You’ll Be Judged The Hardest Way Just Wait.It’s Just A Matter Of Time.Devils! !